Author: Dr. Laura Dejmek, O.P. Laura is a single, Lay Dominican living in Chicago Illinois. Her life experiences include teaching elementary school music to children ages six through twelve. 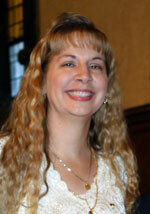 Laura is a regular ecumenical preacher at two Episcopal parishes in the suburbs of Chicago. She is the Promoter of Preaching for Lay Dominicans in the Central Province of the United States. Laura received her doctorate in ministry in preaching via the ACTS D.Min in Preaching program in Chicago. Laura received her Master of Divinity degree from Catholic Theological Union in Chicago, Illinois with a double concentration in Biblical Studies and Liturgy. She is the first Master of Divinity student at Catholic Theological Union to complete this degree with a double concentration. In addition, to having a Master’s of Music, Laura is a classically-trained soprano. By: Dr. Laura Dejmek, O.P. Category: Preaching Tags: belief of the ancient peoples, Peter and Paul, who do we believe Jesus is? Do you need to check your oil or are you ready to party with Jesus?